Looking for some fashion inspiration and want to ace the suit pant look? Well, then you need to check out these Bollywood divas who are slaying everyone with their suit look. And trust me, all these looks are a perfect balance of style and elegance. So, try on these looks and make your own statement. @deepikapadukone shines in today's look for #BajiraoMastaniPromotions in Mumbai. Watch #Mastani weave her magic as the warrior princess in #BajiraoMastaniTomorrow. Deepika looked fab in all these looks. And if you also want to rock in style then, you should definitely try them. Take some fashion inspiration from our global star PeeCee. The Noor of Bollywood slaying everyone with her killer suit avatar. Simplicity and elegance at its best. Add a hue of royalty in your look just like Soha Ali Khan. 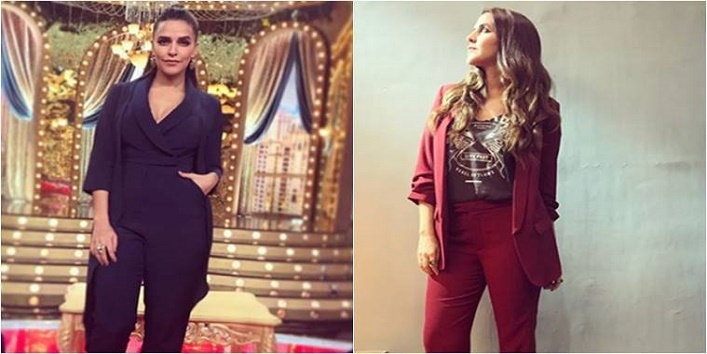 So, these were the few Bollywood divas wearing suit pants and bringing out the true lady bosses.